The Community of the Year Award is given to an exemplary Chapter or SIG that won a platinum level Community Achievement Award. For a truly remarkable 2017 Community Achievement Award year filled with strong activities, including student outreach programs, unique social networking events, and your annual CONDUIT conference. 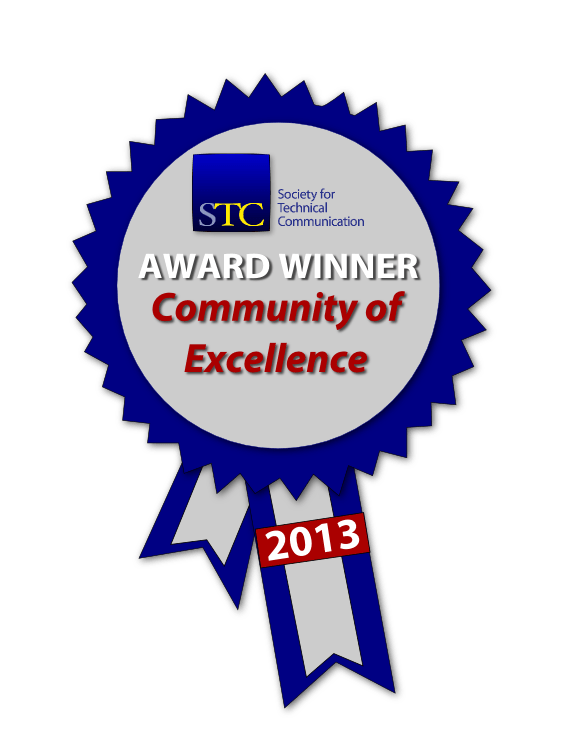 STC Philadelphia Metro Chapter is a solid example of a successful STC chapter that fosters communication, education, and outreach in the technical communication profession. For your outstanding work to further our profession through your wonderful student outreach programs, engaging with the community through social media and creative social events, networking with other chapters in the region, and facilitating learning opportunities at face-to-face meetings as well as the annual CONDUIT conference. For your dedicated focus in reaching out to the future of technical communication via your Academic Outreach program, for your spirit of teamwork in partnering with both STC and non-STC groups to further the profession, and for your work in organizing many social and educational programs, especially your annual CONDUIT conference. For having strong and varied programs and events for your members, and especially for your great focus on your student community with your Week of Writing and Web Content Strategy workshop. 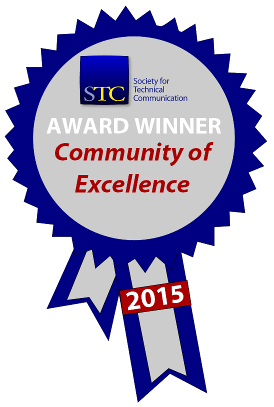 For arranging the Mid-Atlantic TechComm conference, promoting STC’s values through collaboration with other STC communities, and for your overall strength in providing members with a strong and active community. For revamping your web site and creating an active blog, your impressive number of chapter initiatives, your continuing to provide the Mid-Atlantic Conference, and your ongoing commitment to providing excellent programs. For maintaining an outstanding chapter of excellence with your regional conference, social media, solid planning, outreach to other communities, and promoting the value of STC membership, the Philadelphia Metro Chapter was awarded the Community of Excellent award in 2013 for the work done in 2012. For sponsoring a respected regional conference, embracing social media to enhance communication with members, seeking improvements to chapter operations, and promoting the value of STC membership, the Philadelphia Metro Chapter was awarded the Community of Excellent award in 2012 for the work done in 2011. 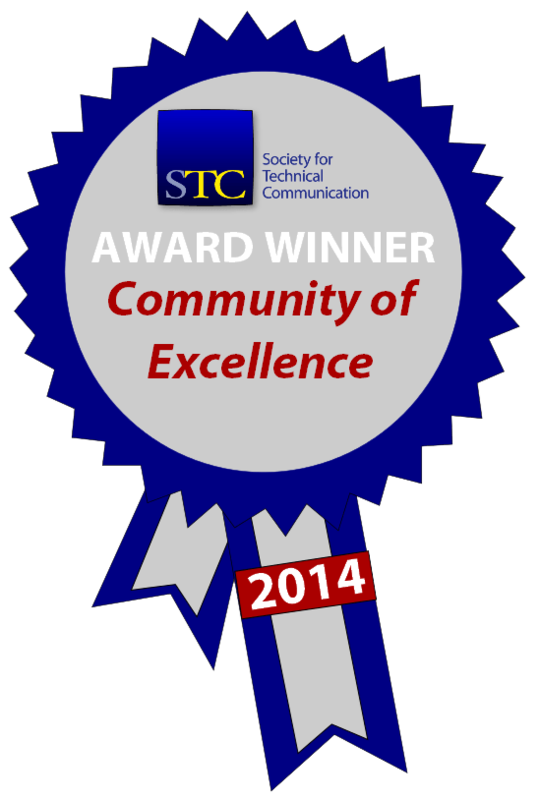 The award was also announced on STC’s Notebook blog. In 2011 our chapter was honored to earn a Community of Excellence level award for the work we did in 2010. In 2007 our chapter was honored to earn a Community of Merit level award. Awarded to the Philadelphia Metro Chapter for significantly boosting community sponsorship revenue by developing a tiered sponsorship system. 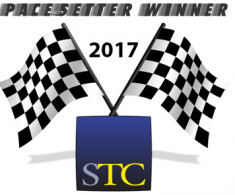 Awarded to the Philadelphia Metro Chapter for implementing an innovative two-level approach to sponsorships and scholarships for students that lets them experience STC membership and encourages volunteerism within the community. Awarded to the Philadelphia Metro Chapter for adding a Donate button to the community web site to encourage donations to the scholarship fund. 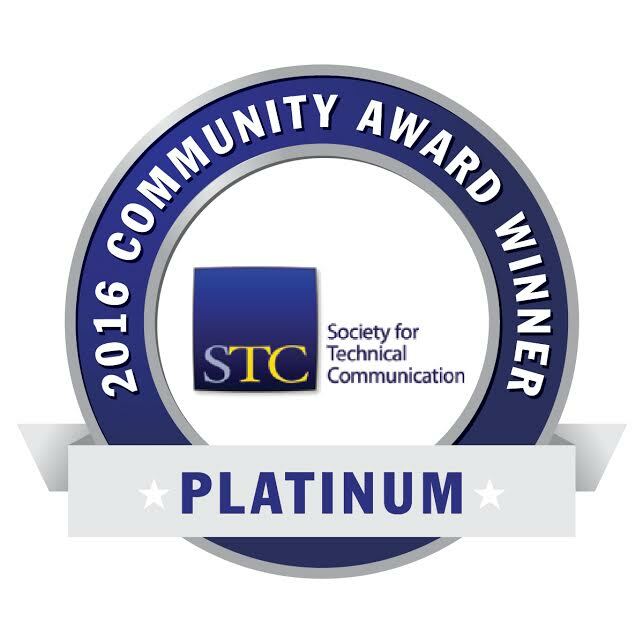 The Distinguished Community Service Awards recognize the hard work and commitment of STC’s community leaders. See our complete list of members who received this award in our Members section.